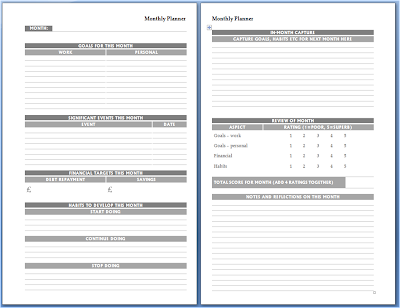 I recently produced a Monthly Planner for the Filofax Personal and promised then I'd develop it for the larger sizes too. Here is a version which works for both A4 and A5 users. The larger format has allowed me to space things out a little, but I haven't added any new content at this stage. If there's something else you'd like to see included, tell me in the comments. 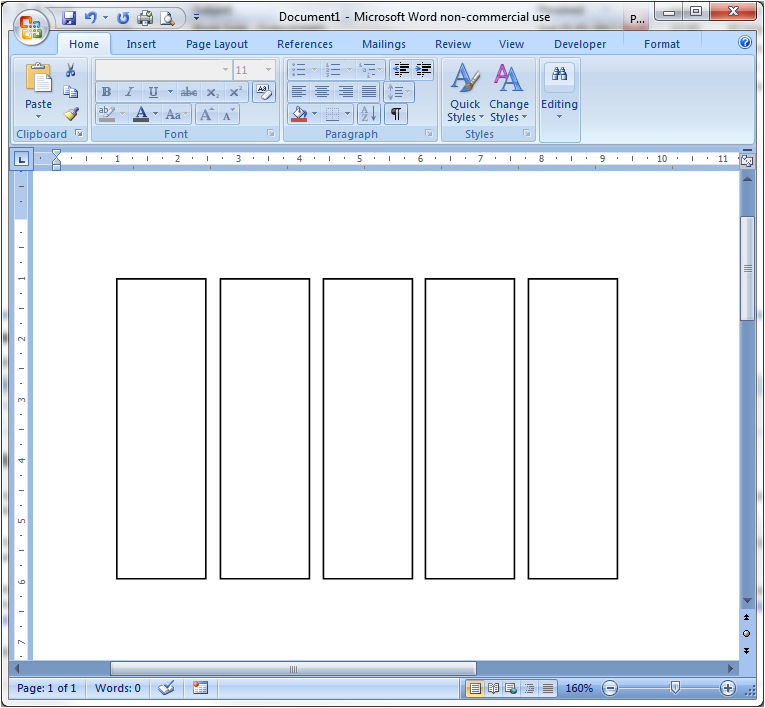 You can download an editable Word file or a PDF file. Either version will print straight to A4, double sided. For A5 pages, print in booklet mode and guillotine. See here for my thoughts on how to use it. Single-page calendars are handy. You can use them for counting days or weeks, or just for finding out quickly on what day of the week a certain date falls. 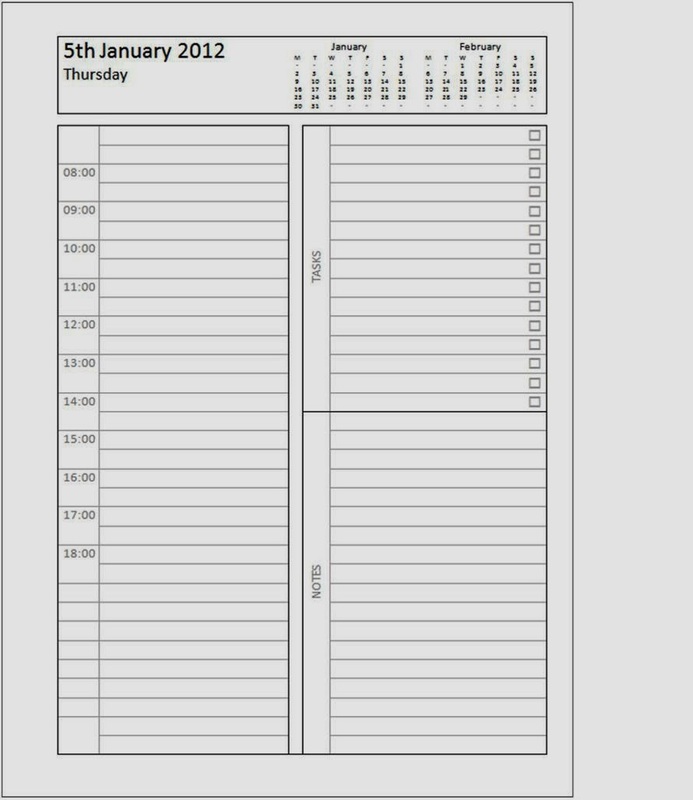 I've built an Excel file that calculates days and builds an A4 or A5 calendar page for any year - past, present or future. All you have to do it enter the year you want and it does the rest for you. Download the Excel file and play with it as you wish. The formulae behind the calculations are all there for those of you with the geek gene. I've confined the colours to shades of grey, but you could easily add your own dash of colour should you wish. 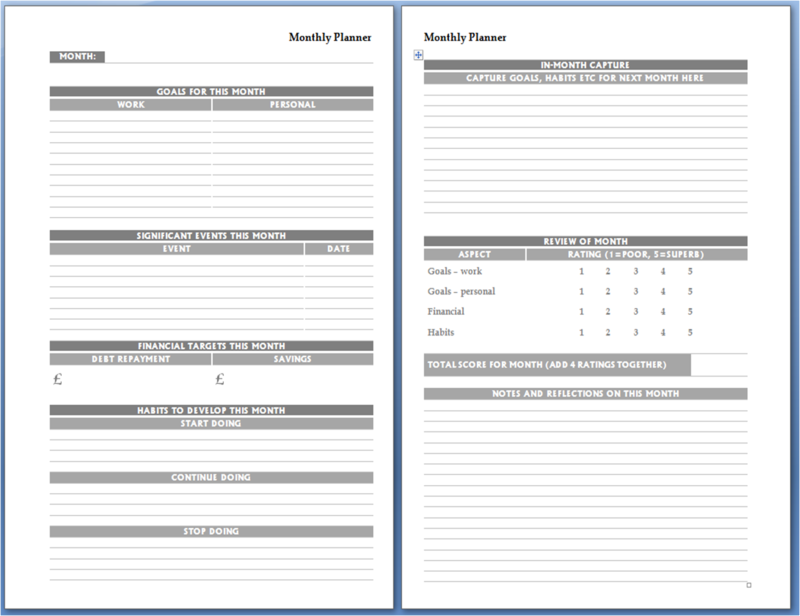 My new template allows you to plan each month for the month ahead. It can help you develop your goals and habits, plan for events and improve your financial situation. Finally on the first page, I have noted what habits I want to develop during the month, showing what I'd like to start doing, continue doing (habits started last month, for instance) and stop doing. At the top is an area to capture ideas during the month for what might be considered for next month. Next comes a section to review the month at its end. I have rated the month (or rather my performance during the month) for each of the key aspects on a 1-5 scale. This allows me to give the month a score, out of a maximum of 20 points. Finally, there is a space for notes and reflections that arise from my review. The review section means that after I've been doing this for a few months, I should be able to look back at the scores and reflections and identify some trends that will inform future planning. I hope you will find this page useful. It strikes me that there is scope to do more in A4 or A5 size, and I intend to produce versions for these sizes soon. Time for some DIY. I started with a nice, firm file folder. This one is in blue, but you'll probably want one that looks good with the colour of your binder. But look what I can do! And the need for the cut-out rectangle becomes apparent, necessitated by the pen loop. 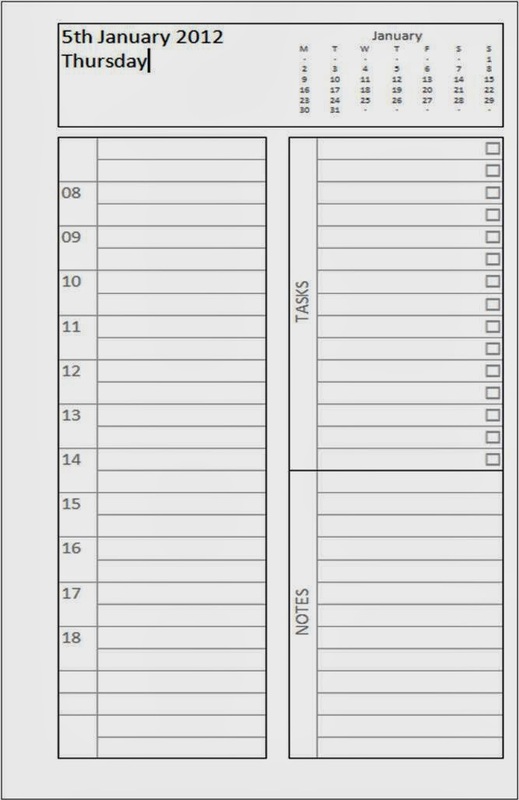 Now I can access any page in my filofax at the same time as I use the pad. If this is something you now realise that you need to be able to do too, you can make one yourself. I'd suggest you either find a folder colour that complements your binder (I'll be using black if I can find one in black) or that you stick pattterned paper to the visible part of the contraption. I'll start with a disclaimer: this has the potential to cause serious problems in your printer and the fact that it caused none whatsoever in mine should not be taken to imply it'll be safe for yours. GTD devotees could use these for context lists. The rest of us will just enjoy having cute little pictures poking out from between our pages. You'll need a laser printer, some Post-It tabs (I used the ones that come with the Filofax Sticky Notes insert) and some regular printer paper. 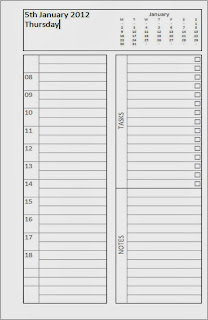 Note that this document is in portrait layout, so these are tall boxes, not wide. For the Post-It tabs that come with the Filofax insert, you need boxes that are about 15mm x 50mm. You can download a Word file with these all set up if you prefer. Print this document out. 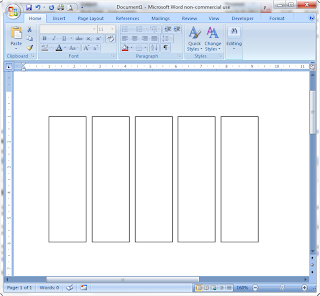 You should now have a sheet with some empty boxes printed on it. Inside each of these boxes, you're going to stick one of the tabs. This bit is important: the sticky end must be at the end that first goes into the printer feed. These will be side tabs. If you want top tabs, rotate your icons so they're in the same place but upside-down rather than side-on. Incidentally, all the icons I am using come from The Noun Project, which has a huge range of royalty-free icons. 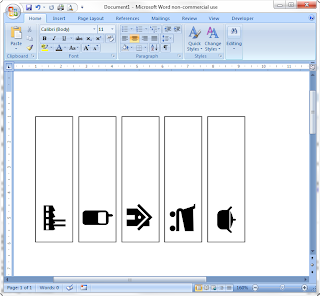 If you prefer, you can download the ones I'm using in this Word file. Now put the sheet back in the printer, with the blank tabs attached. Make sure the sheet is the right way up for your printer and that it will feed sticky-end first. 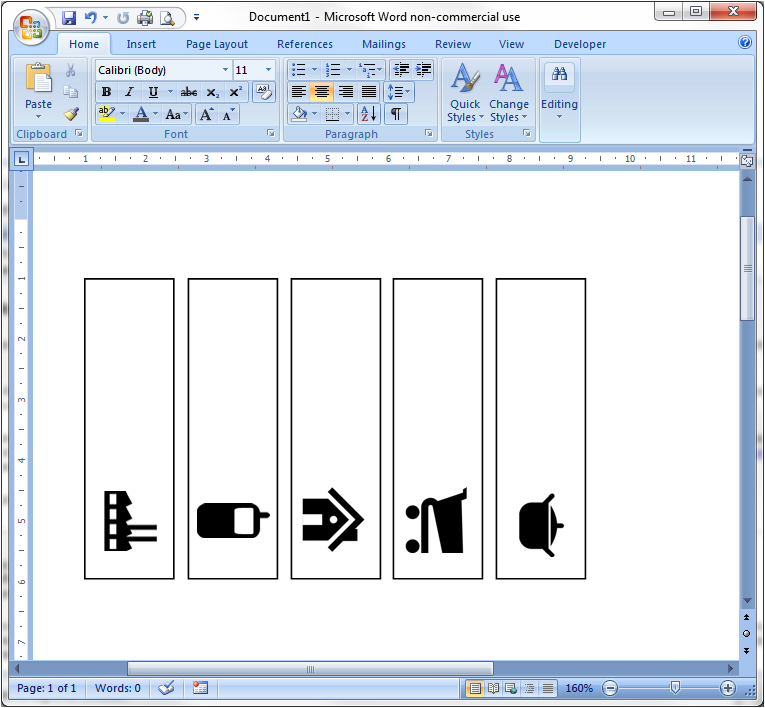 Print the document that countains icons in the boxes, and when it emerges from the printer, it will have lovely printed tabs attached. You might want to experiment with just one tab to begin with to make sure you are positioning the tabs and icons properly within the boxes. Tesco are selling these mini Post-It-style index tabs for £1.20 a pack. Here's the link. They are the same size as (and look and feel completely identical to) the ones on the Filofax sticky notes insert. So, if nothing else, you've got a cheap way to replenish your stock. But we can do better than that! When you unwrap the package, you find the tabs are attached to a piece of firm, clear plastic. This plastic piece is just about the same height as a credit card and slightly narrower. I rooted out the used iTunes gift card you see above, and used a short piece of tape to attach it to the plastic card the tabs are on. If you do this right, leaving a slight gap between the two pieces, the clear plastic will sit snugly on top of the gift card. At this point you can put the gift card into one of your credit card pockets, with the attached tabs sitting outside. I've used a credit card insert, but there's no reason why you couldn't use an empty slot in the cover, if you have one. And if you have a Pocket or Mini Filofax, you could attach the tape to the shorter edge of the card, which should work just as well. I used clear Scotch tape because that's all I had to hand. My only concern is how well this will hold up in day-to-day use and I may upgrade to a stronger tape at some point. And if you're looking for other uses for used gift cards, here's a project you could try. 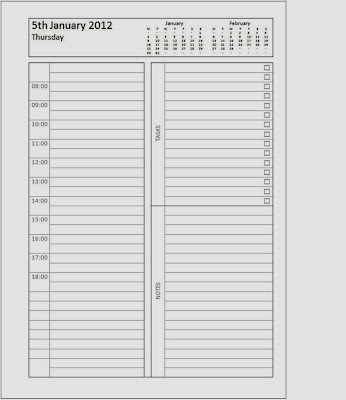 When I posted yesterday with a page-per-day diary layout for A5 and A4 users, Amanda left a comment asking if this layout could be made available for Personal Filofax users. Well, with one or two compromises, yes, it can. This is set up to print straight onto blank Filofax Personal paper, double-sided, and the gutter is set to accommodate the ring holes. As usual, there is a PDF file for the whole year, and for tinkerers the Word source file and Excel data source are available. In November, I posted about my perfect A4/A5 diary layout. This was a 2 pages per day layout I had designed myself. I made available a PDF of a full 2012 set of pages and shared the source files too. 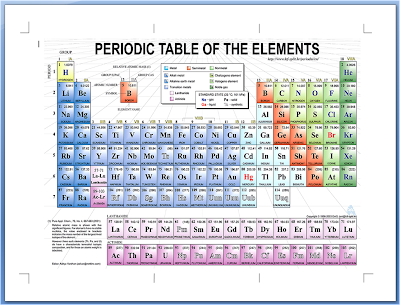 I have now built a 1 page per day version which you can download. If you're not interested in the techie stuff and just want to get the pages now, you can download and print this PDF file. 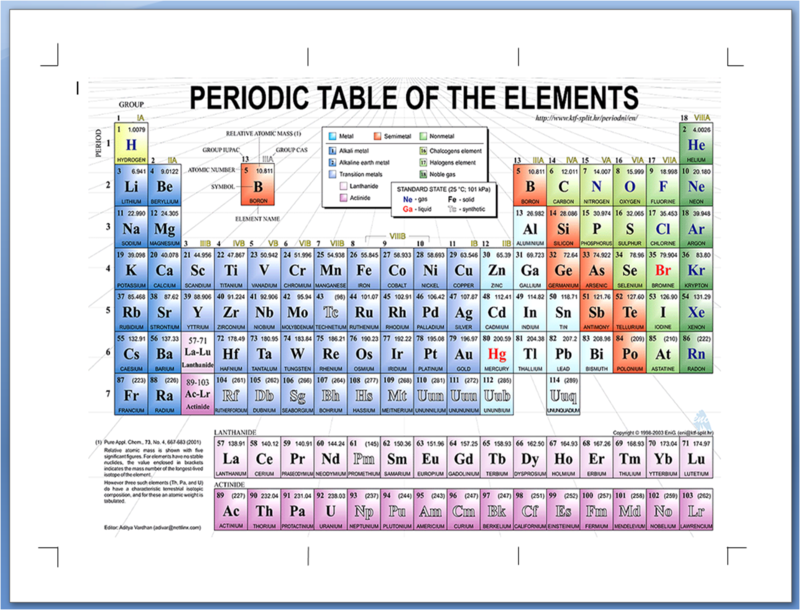 Print straight onto A4 paper, double sided. 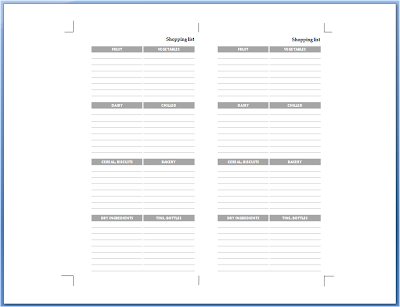 If you have an A5 Filofax, print on A4 in booklet mode and cut down the output into A5 sheets. If you want to play with the source files, read on. You'll need this excel file which does all the hard work. You can adapt this to give you any date range you want; simply change the dates in the first column. See my earlier post for some technical insight into the content of this file. 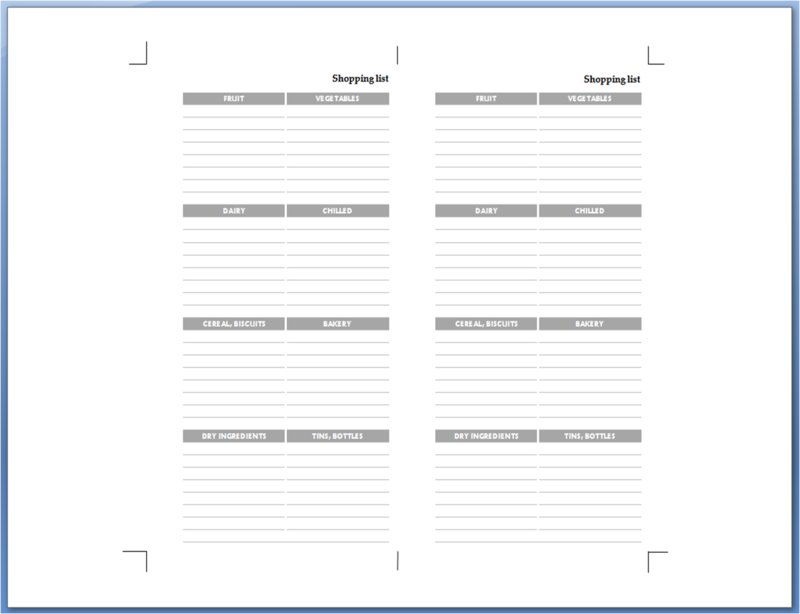 You'll also need the Word layout template I merged the data into to make my layout. You can adapt this to produce pretty much any layout you could imagine, then merge into a document you can print and punch. Depending on what version of word you're using, Word may put section breaks between every record, which will throw out the mirrored gutter formatting in the format. If it does, the solution is quite simple; do a find and replace on section breaks (^b) to remove them all. You might also need to adjust the top and bottom margins until print preview confines the layout properly to single pages for your printer. Of course, you can play with the layout to produce what works best for you. This approach is particularly useful to those switching mid-year because your pages can start and end on any date you like.